Google’s well-known for getting behind efforts to transform the Web into a more immersive experience and this time around, it’s the National Park Foundation’s ‘March on Washington’. The page gives you the chance to relive Martin Luther King Jr.’s historic speech from August 28 1963, as well as to see photographs from the March on Washington for Jobs and Freedom event itself. However, it also goes one step further and allows you to record your own version of the same speech, as well as play back other people’s from around the world. Better still, it should work nicely on mobile, tablets or the desktop. 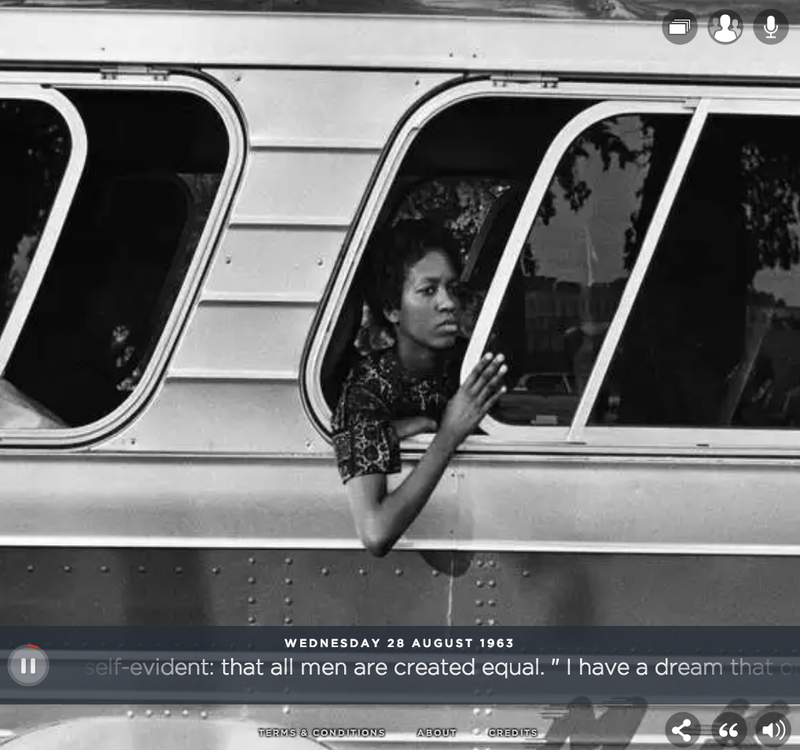 It’s not hard to find the ‘I have a dream’ speech on YouTube – or anywhere else on the Web for that matter – but by blending the recording with stunning monochromatic photos, this really is more than the sum of its parts.